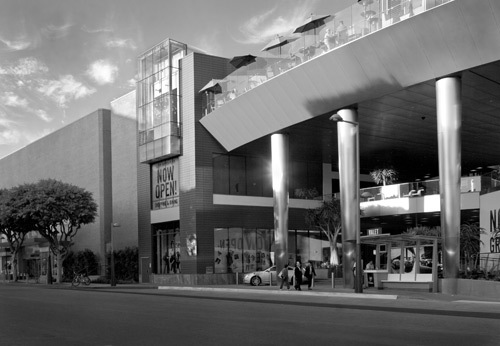 Macerich converted the vacant approximately 50,000 square feet (“sf”) of retail space on the 3rd Level of the Santa Monica Place (“SMP”) Bloomingdale’s Building into an approximately 50,000 sf, nine-screen luxury multi-screen cinema complex with a up to 12 movie theaters and a seating capacity of 1,500 seats, including an outdoor terrace for ticket holders. The Project may also provide a lounge area and/or outdoor terrace area for ticket holders. Renovations were limited to the 3rd Level of the Bloomingdale’s Building, with an increased height by 36 feet to a height of approximately 84 feet above existing grade .